High School Boys Give Nazi Salute In Class Photo - Joe.My.God. 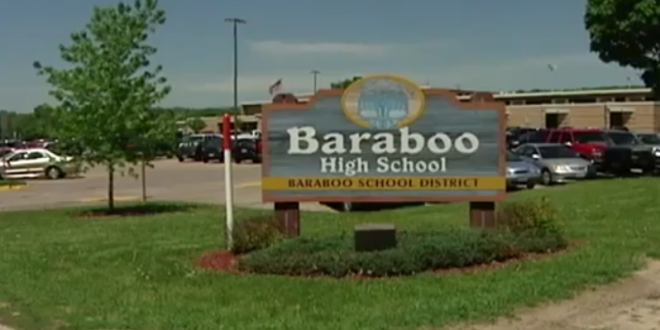 A Wisconsin school district is considering what consequences students should face after an alarming photograph surfaced, supposedly of the male students of the class of 2019. The image, tweeted from an account that has since been made private, allegedly shows dozens of Baraboo High School students at their junior prom giving the Nazi salute. The Barbaroo School District has yet to issue a response, but their official Twitter account retweeted a message from School District Administrator Lori Mueller that addressed the issue, and it appears that they are taking the matter very seriously, even considering legal action, should it be deemed appropriate.